2018 IS HERE and with it is the continued rise of temporary power generators. The diesel generator market is forecast to be worth $6.40 Billion by 2021 due to an increase in electricity demand and failing infrastructures; forcing governments, utility and power companies to invest in generator safety. If you’re reading this, that’s probably music to your ears! That’s why Phase 3 are the choice of connector at prestigious events like the World Cup, Winter Olympics and the Commonwealth Games in 2018! 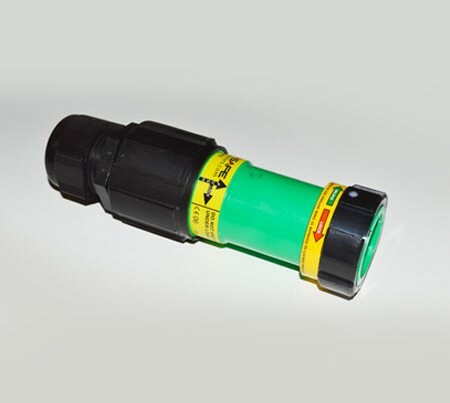 PowerSafe connectors are colour coded and mechanically keyed – meaning each line can only mate with its compatible socket e.g Earth with Earth (Green/Green). 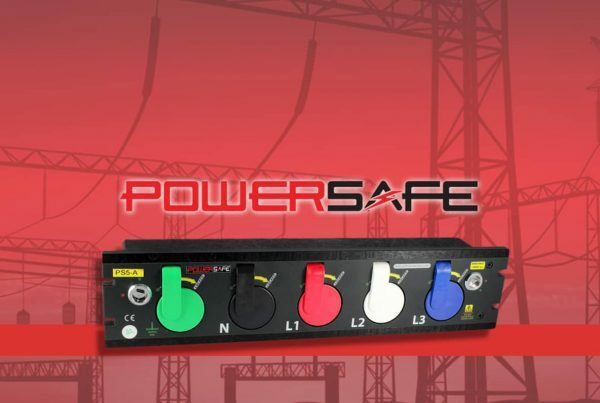 This ensures a successful and safe assembly every time and is why UL approval on PowerSafe is imminent. For the best setup, use the Powersafe Sequential Mating Box. The innovative locking system makes PowerSafe the must-have, higher rated, replacement for CamLock, which are shockingly still widely used across the United States. The locking mechanism prevents accidental disconnection under load, as well as integral cable strain relief – meaning no more unplanned power outages! Phase 3’s single pole connectors are manufactured with high quality thermoplastics, perfect for high impact and temperature protection. That lazy cable assembler or events technician won’t be costing you tonnes in replacement connectors by bashing them around – they’re made to last! What’s that golden rule dad always told you? ‘Always bring rubbers…around electricity.’ Our rubber hand grips (customisation with your brand colour and logo available) give that extra grip and generator safety for those providing installation. When connected to a Panel Mount you cannot disconnect cables from the generator unless the power is off. This is ideal for those seeking assurance that the cables are not live when lying around if you’re using this setup. Rainy day woes with your power generators? No problem! Our IP67 ingress protection means the high voltage power connectors are fully protected against dust and capable of withstanding water immersion up to 1 meter for 30 minutes. That is why Phase 3 connectors are used worldwide for applications such as maritime and military as the leader in generator safety. NOTE: Despite our added improvements, Phase 3 connectors are still compatible with other manufacturer’s connectors. Contact Us for more information or a quote on powerlock single pole connectors.